Since now, I will try to free (or make public) a new project every month. 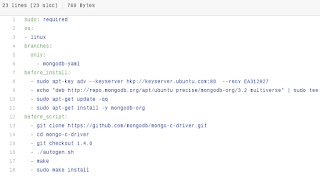 These projects mainly come from a private incubator I handle at bitbucket.org. 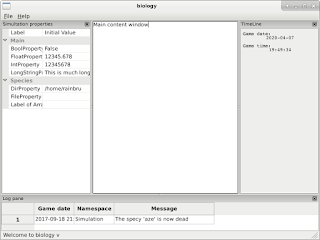 This month, I released biology : a study to train a neural network to handle Non-Playable Characters. This is a C++ gui application using wxwidgets as GUI toolkit. Another dependency is libfann, a neural network library. For the new rainbrurpg homepage, I would like to dynamically add the github's repositories status, for example the last commits. Today, I'm freeing a new rainbrurpg-related project. Its repository is now located at https://github.com/rainbru/librlgl. 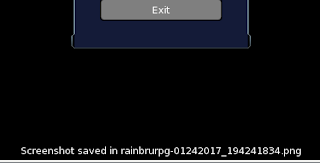 This library will be a fundamental piece in the RainbruRPG's ecosystem, providing the graphical content of the game client. 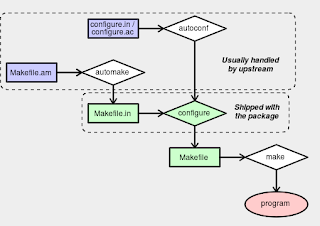 This code is designed to be used as a git submodule (as libwsmeta) to provide dependency check and library building. The aim of this project is to define a DSL used to generate and use complete 3D worlds. As seen in my previous introducing posts, for example the libwsmeta and todoSummarizer ones, I'm currently freeing some private projects. So a few weeks ago, I released a new ruby project : headers-date. 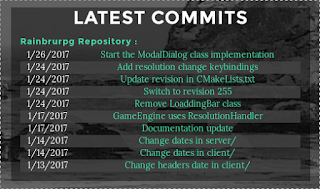 When a new year starts, all headers of all projects must be updated with the new year. This project will help you search for copyright date and eventually sort these files.